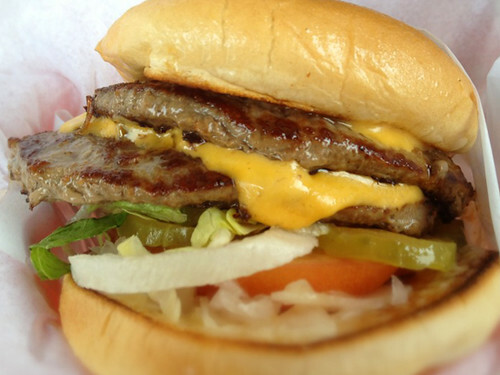 Burgers like my grandpa used to make! Bill & Hiroko’s is near the Arclight in Sherman Oaks (my regular picture theater). 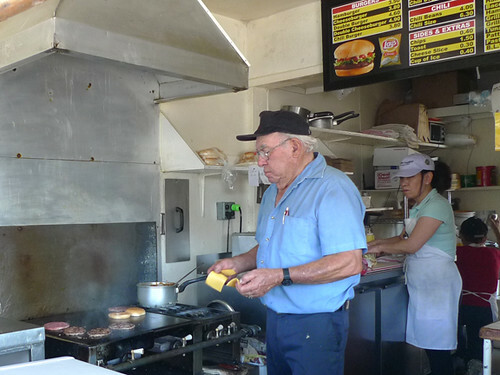 If I’m heading to an early-afternoon movie during the week, I stop at Bill & Hiroko’s for a bite and skip the popcorn at the theater. They are open 8:30am – 4pm (M-F). 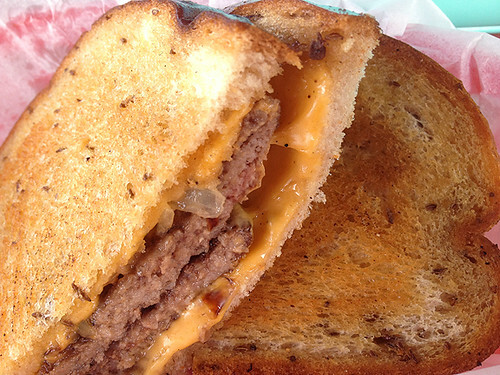 The Double Cheese Burger is my favorite. Sometimes I get TWO. 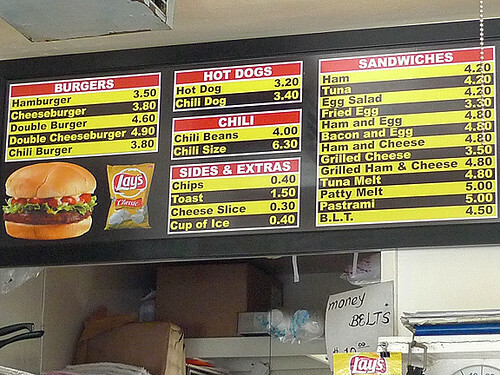 No fries here, so order a bag of chips and a soda. 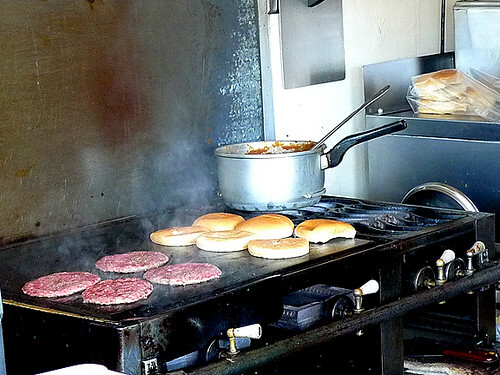 It’s ALL BOUT the seasoning on the old-school 1930’s era grill. Bill and Hiroko working their magic. Not a fan of burgers? 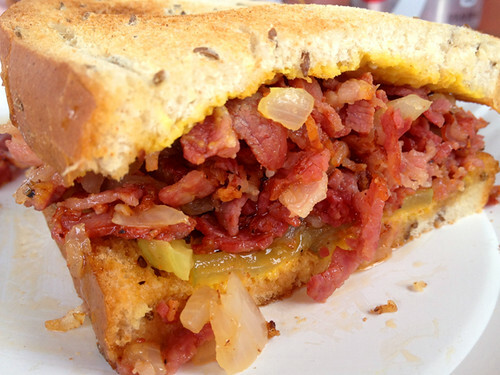 The Pastrami on Rye is fantastic. Look for this sign, or follow your nose. If the counter in front is full, head to the dining room in back. Covert PBR’s go down perfectly with these delicious belly bombs! 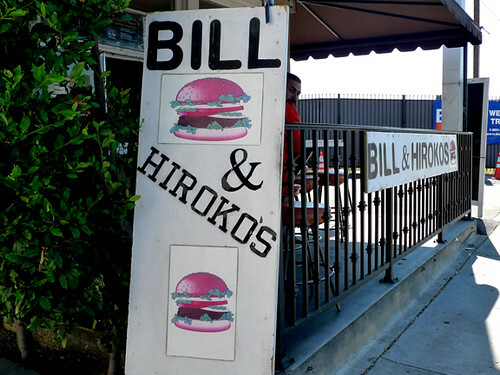 Read all about Bill & Hiroko’s by Elina Shatkin at L.A. Weekly Food (where I first learned about this burger heaven!). 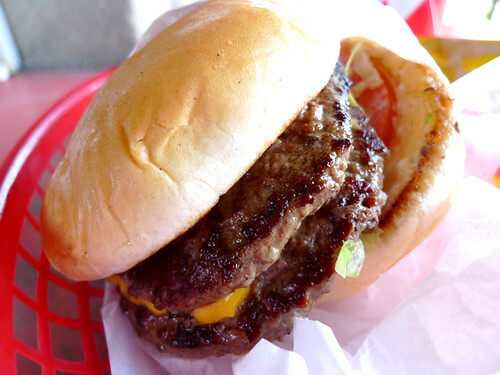 Read “Ten Best Burgers in L.A.” by Elina Shatkin at L.A. Weekly Food. YES YES YES! This burger looks FABULOUS, Jo!